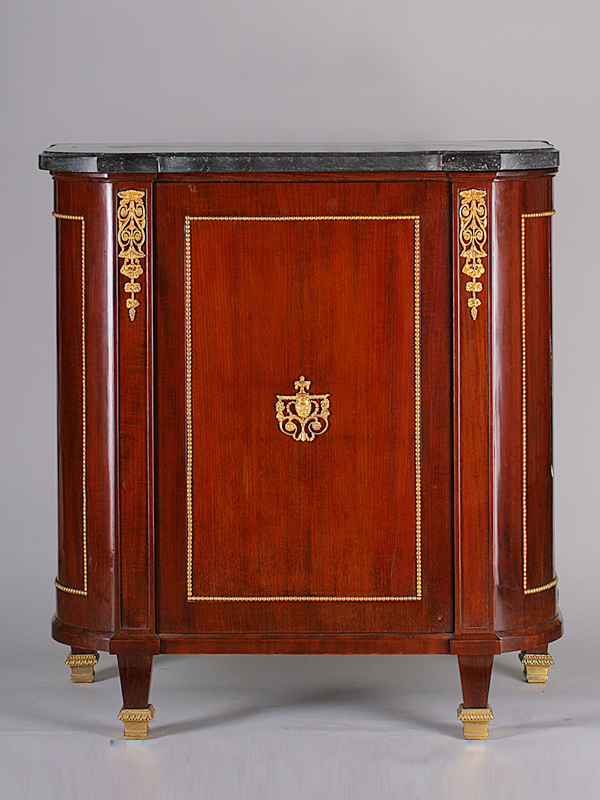 In the 1980s, the elaborately veneered furniture of the 18th century was very popular and the market in German-speaking countries intact, we sold a large amount of various baroque cabinets, dressers, different writing furnitue including the famous ‘Tabernakel’. 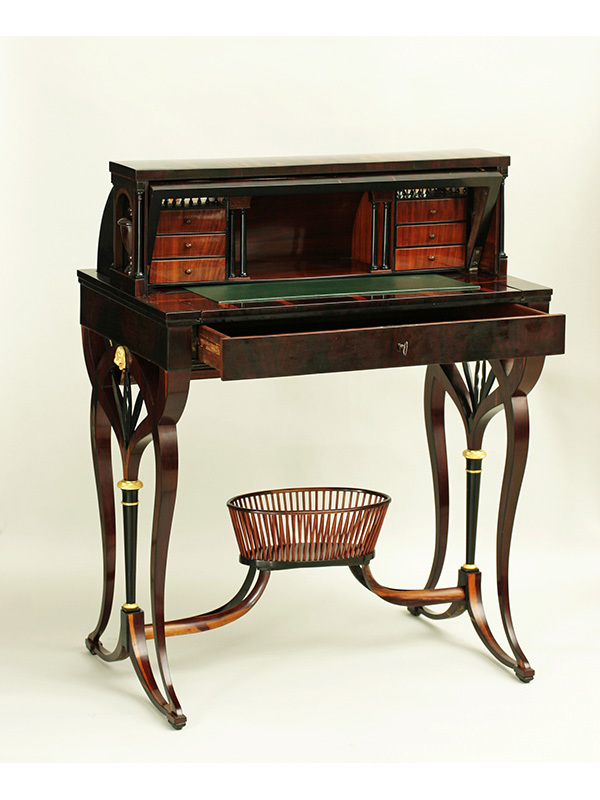 Later, the Viennese Biedermeier furniture with its variety of forms and versions in numerous types of domestic and foreign wood were very much in demand and sold at high scale in Vienna as well as in the USA. 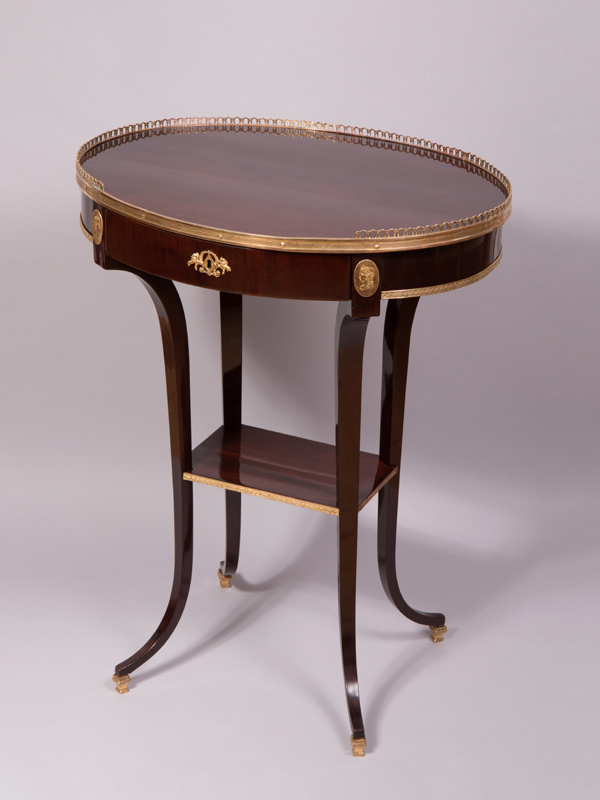 There was talk of ‘modern design’ and the multitude of Biedermeier exhibitions worldwide showed that today’s design can in many cases be traced back to the formal language of the 20s of the 19th century. 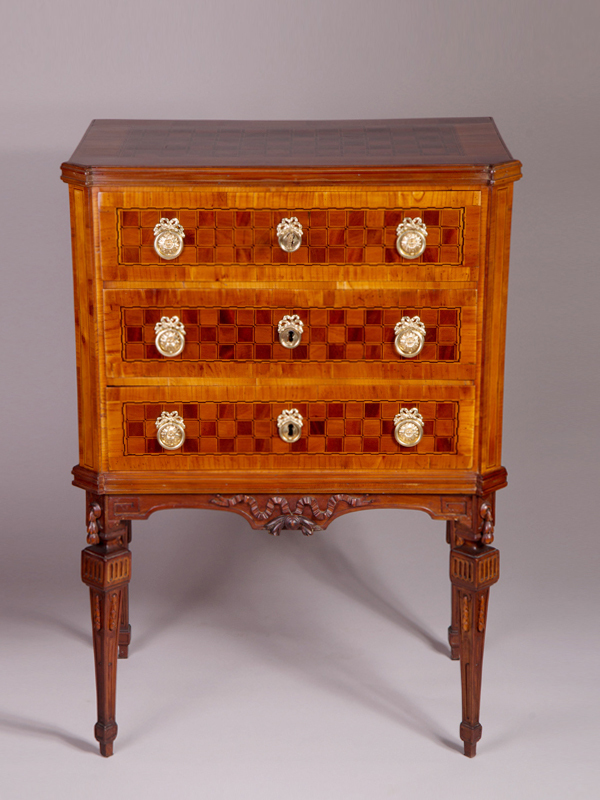 Lovers of the style collected chairs for dining tables, display cabinets, writing furniture, salon and sewing tables, bookcases, flower tables, gueridons, the rare globe tables and spit bowls made of native but also imported wood species, during the Empire era from 1800 cherry was popular as well as mahogany, which in Vienna used to be reserved to the royal court. 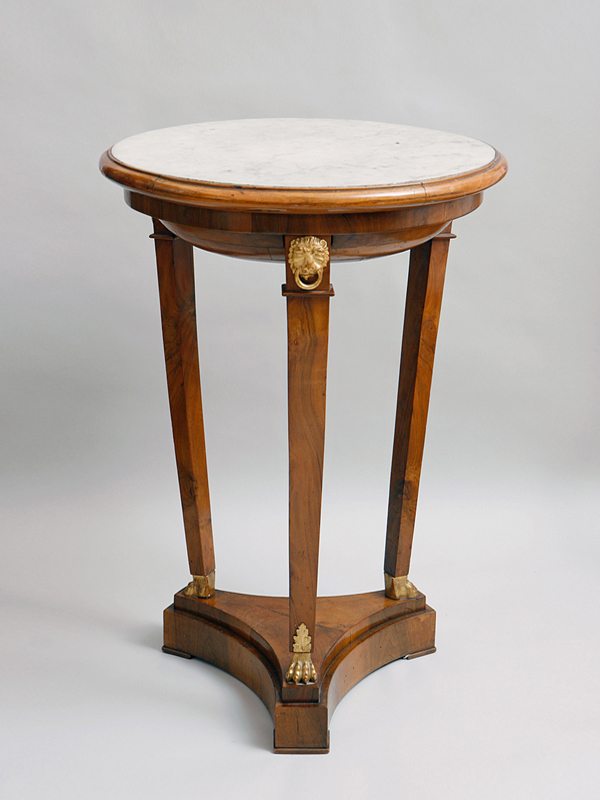 Entire furnishings in the style of Biedermeier were created and living spaces furnished using uniform veneer types. 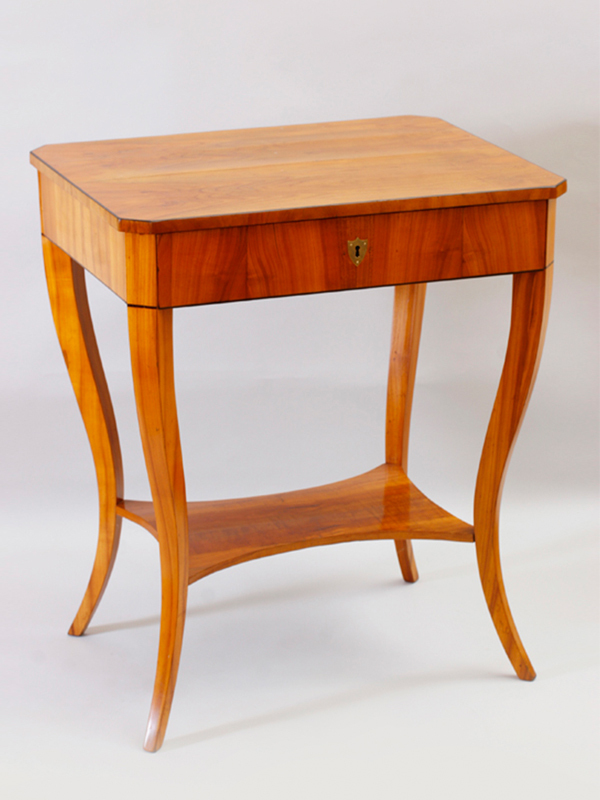 The name of the furniture manufacturer Josef Ulrich Danhauser was regarded as ‘trademark’ and many of his workshops were in fact attributed to the ‘k. k. privilegierten Landesfabrik des Joseph Danhauser’. 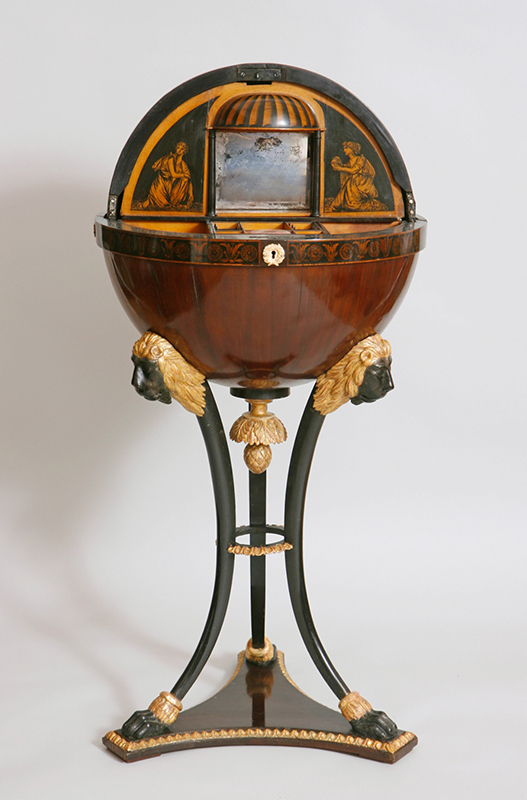 Danhauser founded his factory in 1804 on the ‘Wieden’ and soon had more than one hundred employees, who made various furniture, but also other products of Biedermeier home decor. The workmanship and decorations using the ‘Verde antico’ for chandeliers is typical of the Danhauser products and the recognition value is very high. The exhibits can be found in private collections as well as in museums such as the Museum of Applied Arts in Vienna, the Szépmüvészeti Muzeum Budapest, Nagytétény Castle and the Nagytétényi Kastélymuzeum, in American museums such as the Metropolitan Museum New York and the Art Institute of Chicago. Austrian arts and crafts became world famous in addition to the great painters at the turn of the century, such as Gustav Klimt and Egon Schiele.